An introductory chapter will introduce and homogenise the different parts, and provides a long-term perspective. Stefania ALBONETTI is Professor of Industrial Chemistry at the University of Bologna, Italy. From 2013 she is coordinator of the Erasmus Mundus Doctorate Program in Industrial Sustainable Chemistry (SINCHEM - www.sinchem.eu). 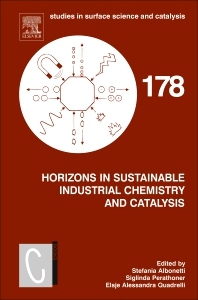 After Ph.D in Industrial Chemistry (Supervisor Prof. Trifirò) she become research and development responsible of Catalysis Department in Lonza SpA, Alusuissegroup. In 2001 become researcher and later professor at the University of Bologna. She is co-author of 80 papers on international journals, 10 international patents, 4 book chapters and a high number of communications at national and international meetings. She is editor of the Wiley book "Chemicals and Fuels from Bio-Based Building Blocks". Current h-index is 24, about 2.150 citations (Google Scholar). Siglinda PERATHONER is Professor of Industrial Chemistry at the University of Messina, Italy. She was coordinator of the large EU project INCAS, and has coordinated or was scientific responsible in various other EU projects. She is active from over 30 years in the field of catalysis and author of about 250 publications, including various top 1% papers, and several communications at International Congresses, as well as co-Editor of books or special issues of international journals of catalysis. Furthermore, she is co-author of several reviews on International Journals and was chairperson of various international conferences, workshops and symposia on catalysis. She is editor of the Wiley VCH book " Sustainable Industrial Chemistry" and Wiley & Soon book " Green Carbon Dioxide: Advances in CO2 Utilization". She is co-chair of Europacat 2017, a major event in catalysis community. Current h-index is 55, about 11.500 citations (Google Scholar). Alessandra Quadrelli is the chairwoman of the Sustanability Chair of Chemical, Physics and Electronic Engineering School CPE Lyon since 2009. She is a CNRS researcher in the field of catalysis and organometallic chemistry and teaches undergraduate inorganic and organometallic chemistry courses and the graduate course “Sustainable development and homogeneous catalysis” at CPE Lyon. Her research interests at the Laboratoire de Chimie Organométallique de Surface, now part of the C2P2 unit, under triple tutelage CNRS CPE and Université de Lyon 1, have focused on gaining molecular understanding of the interaction between organometallic precursors and solid surfaces, such as silica and more recently, metal organic frameworks, in route to heterogeneous catalysts. With Jean-Marie Basset, Mostafa Taoufik and coworkers she has uncovered a unique system capable of achieving dinitrogen splitting with diydrogen on an isolated metal atom. After her bachelor studies at Scuola Normale Superiore di Pisa, and her PhD studies at University of Maryland awarded with the Pelczar Award in 1998, Alessandra Quadrelli has been postdoctoral fellow at the Chemical laboratories of Cambridge University and Dipartimento di Chimica of Università of Pisa. In 2002, she integrated the French National Centre for Scientific Research, CNRS, and joined the Laboratoire de Chimie Organométallique de Surface. She has coauthored over 35 papers, among which 2 reviews and 2 book chapters. 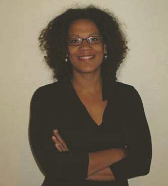 She serves as referee to numerous international journals and as evaluator in French and European proposal evaluations. She has contributed to the European Network of Excellence “IDECAT- Integrated design on Catalytic nanomaterials for sustainable production” and has co-founded with Silvia Bordiga the “NANOCAT- International Summer School on Molecular and Supramolecular Approach to Nano-Designed Catalysts”.